This weekend I headed down to Dunedin to play Flames of War at a tournament called Southcon. 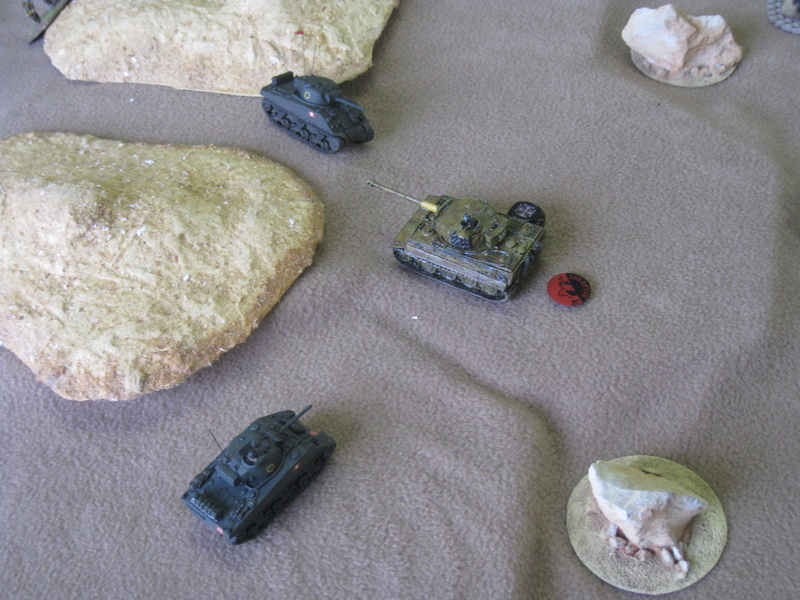 I was running some German Panzergrenadiers with a Tiger, some Grilles (armoured bathtubs) and Marders. It was a pretty good weekend, I won 5 of the 6 games, and the game I lost was only due to some great dice rolls on my opponents part, as well as some average ones on my part! But, them's the breaks. My long term regular opponent Craig managed to claim best axis. The win loss record between him and I is so much in his favour that I think I qualify for "bad guy" status, like every bad guy in a movie I give it a good go but lose in the end! The tournament was Axis v Allies completly- but due to the player mix the allies had a really, really tough time of it. A great smattering of Victrix British! 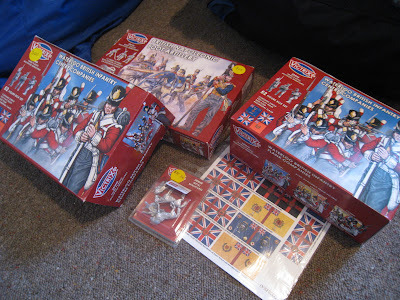 Key items are another battery of artillery (I need 2), the pack of British flags (badly needed, poor Coldstreamers are feeling neglected) and far more British infantry than I will ever need. Plus, a pack of Peninsular colonels. So where does that leave me? I will be able to complete a British Guards division, with an Infantry support. But, I would like cavalry (Scots Greys!) so I will need to do a Perry order at some stage, but first, painting! I have painted everything I had assembled, so today I am finishing assembling my next unit of infantry (27th Inniskilling, because buff is badass), but also I have managed to get my first two colonels ready to start painting; so hopefully might get the two Colonels painted tommorow, and maybe some buff faced troopers? 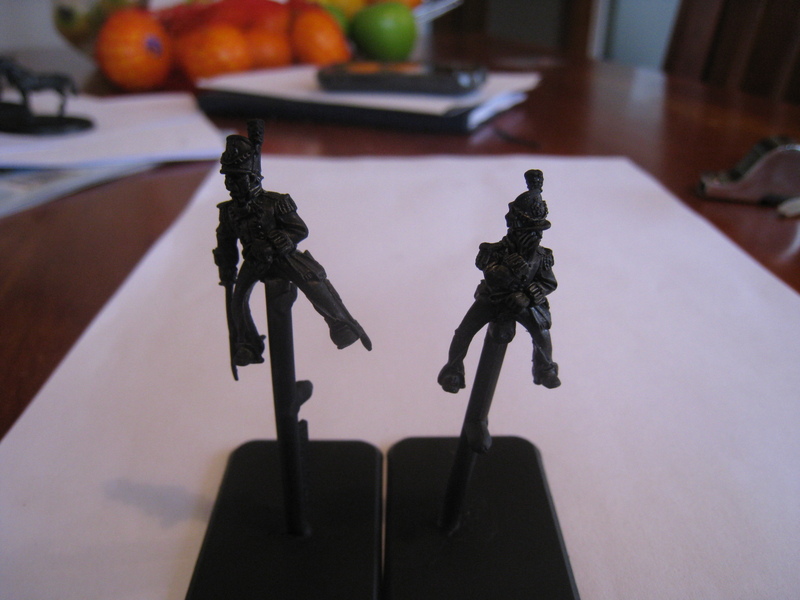 Note the Macgyver style stands for them; it is a piece of sprue glued to a FOW base, worked quite well actually!